“How many of you parents remember that classic 1959 musical by Rodgers and Hammerstein called “The Sound of Music”? In the film version, starring Julie Andrews, Christopher Plummer and Eleanor Parker, Andrews plays the role of a nun who leaves an Austrian convent to become a governess to the children of a Naval officer widower. While taking care of the officer’s children, Andrews teaches them musical theory by learning to sing that now famous song “DoReMi”. Now your child can have the same fun experience learning about music with an innovative learning app called DoReMi 1-2-3. Created by Creativity Inc. this award-winning app helps children to learn musical notes, scales and melodies by teaching them familiar songs including Row Row Row Your Boat, Twinkle Twinkle Little Star and Ode To Joy. Each song is accompanied with its own set of rich graphics, interactive features and adorable characters. Every character represents a specific note on a musical scale (Do, Re, Me, Fa, Sol, La, Ti, Do), and when a child touches a character, each one makes the related sound for a particular note. Children are then guided by the characters, who help them to string notes together in order to make the melody of the song. With Row Row Row Your Boat, the characters are happy little pandas rowing out to sea on a Chinese dragon boat. For Twinkle Twinkle Little Star, there are cute little stars in the sky that animate when you touch them, and for Ode To Joy all the notes are taught by friendly, fun-loving dairy cows. In addition, DoReMi 1-2-3 also allows children have “free form” play where they can create and record their own musical compositions which they can then share with family or friends. DoReMi 1-2-3 is a perfect app to introduce musical theory to little kids. Parents will love watching their children learn about basic music concepts and children will love having fun playing their favorite songs with this ingenious app. This is an especially good app to keep children occupied while traveling on family vacations. DoReMi 1-2-3 is one of many YogiPlay boosted-apps that have been certified for educational quality. If you’re looking for more great apps for kids, visit us for app reviews and free educational resources. 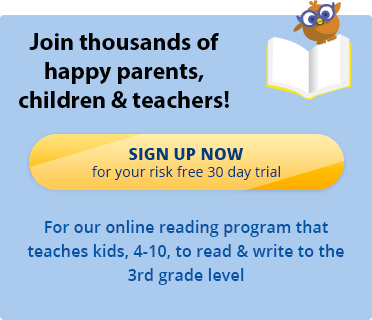 And sign up for our free 30 day trial to see our award winning approach to teaching reading and writing that has received thousands of parents and teachers recommendations!